Today, there is a small but growing crop of tech startups taking aim at both consumer and small business financial services in Indonesia (one of which even participated in the latest Y Combinator batch). While fintech in the country of over 260 million people is still incredible nascent, investment deal activity in the space has picked up over the last two years and is on pace for a new high in 2017 at the current run rate. To understand why the fintech opportunity in Indonesia exists now, it's important to first understand the outlook for the Indonesian consumer. Today, half of Indonesia's population of 260 million people is under the age of 30. By 2050, Indonesia will have the third largest middle class among emerging markets. And optimism among the nation's consumers is growing – a March 2017 survey from Credit Suisse research found a net 30% of respondents expected their personal finances to improve over the next six months. Amidst the compelling macro backdrop, internet innovation in Indonesia is also seeing a leapfrogging of sorts. While Indonesian consumers spend 35% of household income on food, discretionary spending is picking up, and buying a smartphone is the #1 priority for Indonesian consumers. Falling smartphone prices and improved 4G coverage (plus some Instagram FOMO) have facilitated the growth of smartphone penetration in Indonesia to 47% as of last June (compared to 25% in the middle of 2014). While a combination of geographic, provider and infrastructure issues means bandwidth in Indonesia still leaves much to be desired, initiatives such as the Palapa Ring project, which aims to lay out 4,700 kilometers of undersea fiber-optic cable, promise to improve connectivity and high-speed internet services across the country's 17,000 islands. When it comes to payments leapfrogging, the race to develop the Alipay equivalent in Indonesia is being led by the popular, high-frequency ride-hailing apps Go-Jek and Grab. 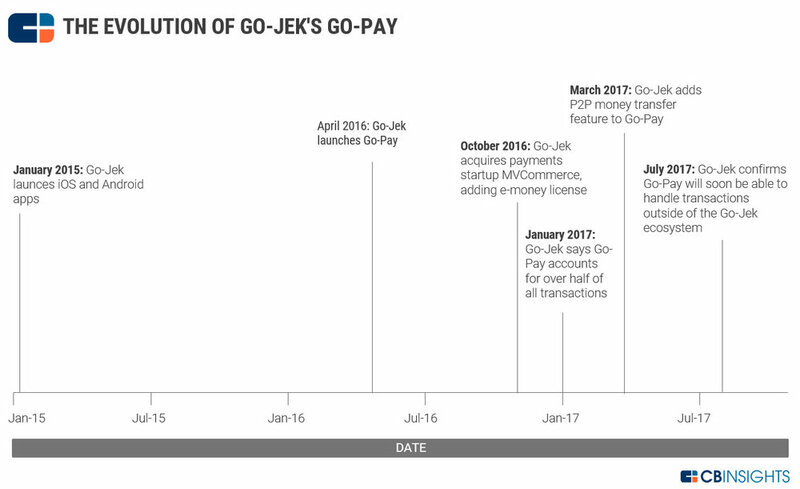 In July, Go-Jek's Go-Pay service confirmed it was preparing the infrastructure to soon be able to handle merchant transactions outside of the Go-Jek ecosystem. Earlier this week, Grab expanded the use of its GrabPay payments service into P2P payments with additional plans to roll out digital payments to merchants this year as well. In Indonesia, GrabPay is already used to pay for Grab's food delivery service, GrabFood. As digital payments starts to replace cash on delivery, this will open up a whole new realm of opportunities. Mobile installment lending: In 2014, only 1.6% of adult Indonesians reported having a credit card, a function of both strict rules by the Indonesian central bank and risk-averse issuing banks. Startups are taking different approaches to help Indonesians access loans more easily online. Akulaku is one startup that provides a mobile installment shopping mall, allowing Indonesian consumers to purchase smartphones, video game consoles, and cameras without a credit card. Today, the company is ranked among the top 20 Indonesian apps in the Google Play Store and has racked up more than 5,000,000 downloads. 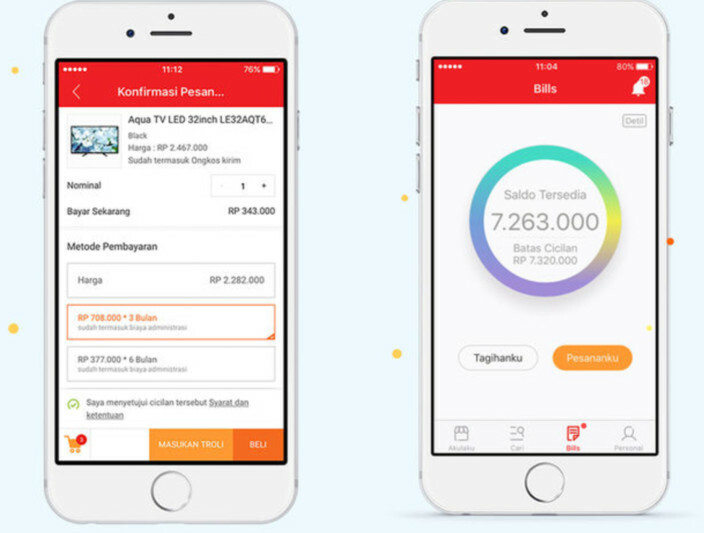 Kredivo, which is owned by Singapore-based startup FinAccel, offers a mobile app that takes self-reported, phone and alternative data to evaluates creditworthiness in real time and provide credit for online shopping in Indonesia without credit card on 30 day or 3, 6, 12 month installments. In November 2016, East Ventures invested in Cicil, which allows college students to access installment loans without credit card by copy and pasting item URLs from Indonesia's e-commerce marketplaces. P2P lending for merchants: According to a March 2016 report from IFC, 15% of all SMEs in Indonesia mentioned lack of finance as one of the top three business challenges. Still, only 13% of the adult population in 2014 had borrowed from a financial institution. This is despite established access to banking services (860 out of 1000 adults had registered savings accounts) and demand for credit – 54% of all enterprises are interested in obtaining a loan in the future. Instead, 49% of Indonesia SMEs had taken a loan from other sources including family, friends or informal moneylenders, mostly for working capital needs. Taralite is one startup offering online loans ($4000 average loan size) for online merchants on e-commerce platforms such as Lazada and Tokopedia (other startups in this realm include Modalku and Crowdo). Working with these sellers has data advantages as Taralite is able to feed reviews, listings, goods sold and even understanding if merchants are buying their own goods into their risk model. Merchant payments: With many of the 60 million SMEs in Indonesia still manually using pen and paper, companies providing point-of-sale software and/or hardware, cash flow management and apps to monitor business transactions has been one area where multiple startups have been seeded over the last few years. These companies include Moka, backed by investors including Convergence Ventures, East Ventures, Fenox VC, and Wavemaker Partners, Pawoon, backed by Ideabox and Kejora Ventures, and Cashlez, backed by Mandiri Capital and Gan Kapital, which offers a wireless card reader to facilitate card payments for small and medium businesses. Financial comparison: As more Indonesians enter the middle class, investors have backed various financial comparison startups to help consumers become customers of financial institutions. Venture-backed companies in this category include Cermati, a online portal for financial products including auto and personal loans and credit cards, which raised a Series A extension from Orange Growth Capital in February 2017 and C88 Group, which operates financial comparison site CekAja in Indonesia and is backed by investors including Monk’s Hill Ventures. CompareAsia Group also operates in this space. To be clear, there are a lot of challenges on the path forward for startups looking to build venture-scale consumer or small-business financial service brands in Indonesia. And while many describe Southeast Asia as one big market (despite very different populations, economic growth, political systems, cultures, and geographies), fintech companies that do eventually succeed in Indonesia may not elsewhere. One item to watch will be the effect China and India's fintech development have on Indonesia's market. Chinese fintech startup WeCash, for example, launched a SME lending joint venture with PT Kresna Usaha Kreatif in January, Ant Financial struck a payments and financial services partnership with Emtek in April, and fintech models in Indonesia draw influence and/or parallels with those in China/India (i.e. Cicil vs. Fenqile vs. KrazyBee in student-focused microloans). 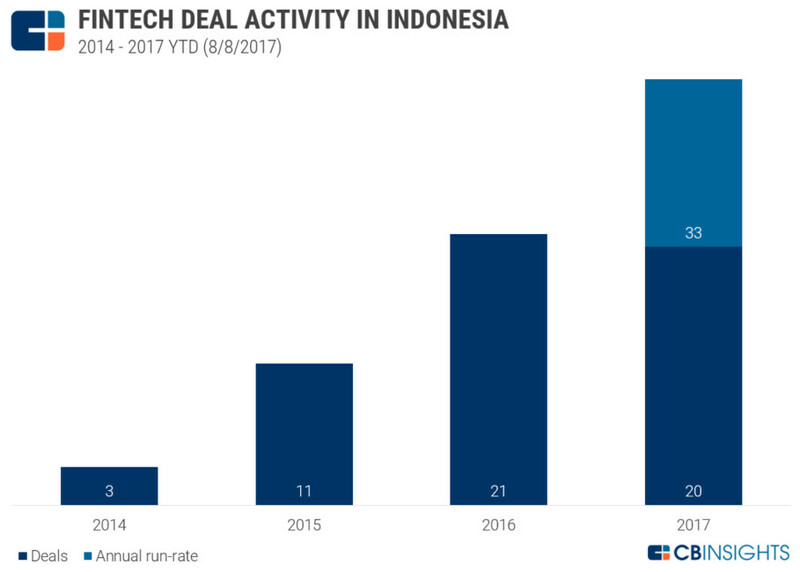 As more Indonesian fintech startups align with the opportunities that leapfrogging presents, there looks to be many more exciting developments to come.